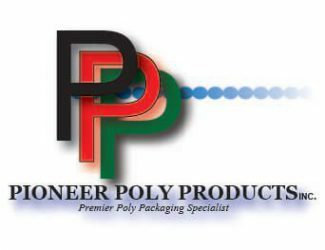 Welcome to Pioneer Poly Products! We are a one-stop solution for all of your poly packaging needs. We work extensively with industrial, food service, fastener, hospitality, retail, and medical companies. We provide our customers with quality products, best possible pricing, fast shipping, and excellent customer service. Our bags are designed for a wide variety of applications. They can hold anything from small parts to all types of food or kraft items. They can be heat sealed to provide security and or retain freshness. Our strategic sourcing and partnerships provide flexible capacity and a wide range of capabilities to meet customer demand for plastic bags and flexible packaging. We maintain our packaging products in conveniently located warehouses throughout the U.S to ensure fast delivery for your immediate packaging requirements. Not sure what you need for a project? We specialize in custom poly packaging, let us use our expertise to help you. Need to comply with a specific standard? Let us know and we can help. Our products comply with FDA requirements for use in food service. Stock management assistance: we offer just-in-time inventory solutions to ensure you always have what you need, when you need it. We do custom printed bags – contact us for more information! We offer bulk pricing discounts.